Opbergbox Really Useful 64 liter 710x440x310mm (lxbxh). Artikel omschrijving Opbergbox Really Useful 64 liter 710x440x310mm (lxbxh). Gewicht per stuk: 3100 gram. 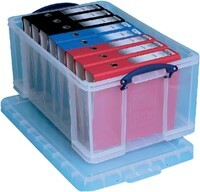 Specificaties Opbergbox Really Useful 64 liter 710x440x310mm (lxbxh). 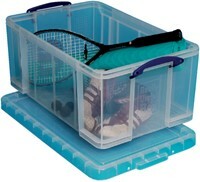 Accessoires Opbergbox Really Useful 64 liter 710x440x310mm (lxbxh). 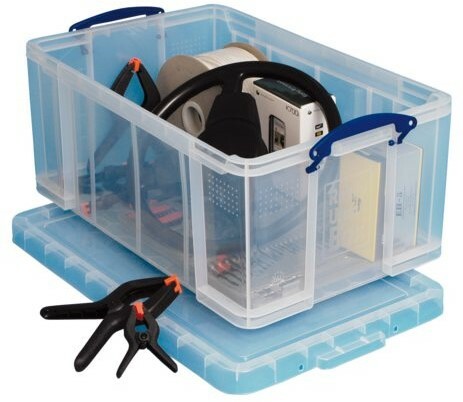 Opbergbox Really Useful 42 liter 520x440x310mm (lxbxh). 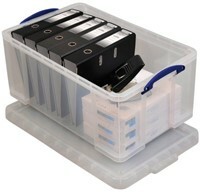 Opbergbox Really Useful 84 liter 710x440x380mm (lxbxh). Opbergbox Really Useful 48 liter 600x400x310mm (lxbxh). Opbergbox Really Useful 50 liter 710x440x230mm (lxbxh). Stel een vraag over Opbergbox Really Useful 64 liter 710x440x310mm (lxbxh).